FREEZE YOUR BRAIN Shave Ice serves an authentic “Hawaiian Style” shave ice frozen dessert with a 5 Star guest experience. We use a true block ice shaver to produce the softest, fluffiest snow. We then pour up to 4 of the highest quality flavor syrups of your choice over the snow with endless combinations! 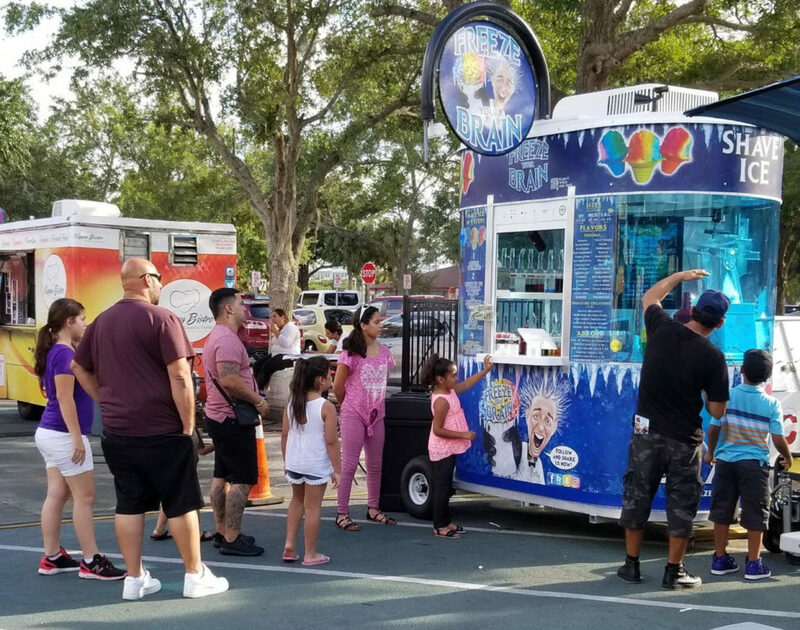 Vanilla Blue Bell ice cream can be added in the center of your shave ice and finally toppers like sweetened condensed milk can be added to the top. It’s a melt in your mouth explosion of YUMMMM that Central Florida has been waiting for! Working for The Four Seasons Resort in Kona on the Big Island of Hawaii, owner Kurt Jensen sold shave ice for two years. 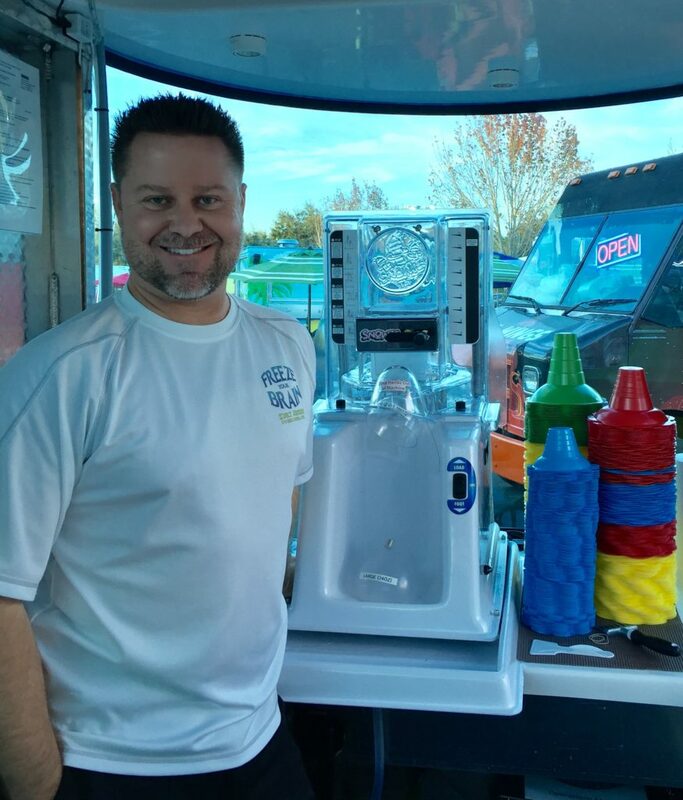 Having intimate knowledge of the amazing product that is TRUE Hawaiian shave ice he decided to bring this incredible treat to another hot and humid region…Florida. Freeze Your Brain hand crafts soft and fluffy snow that absorbs the high quality flavors and literally melts in your mouth! 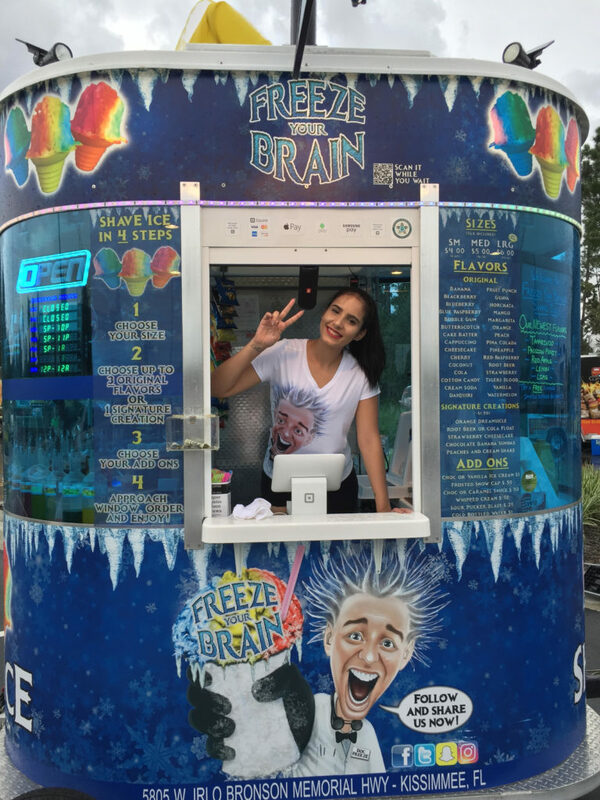 Freeze Your Brain is located in the heart of the global tourism center of Orlando at the World Food Trucks Park just one exit from the Walt Disney World Resort and just 10 min from the Universal Studios Resorts.